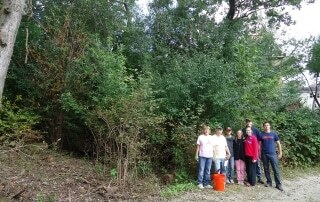 Volunteers are always needed for the fun and rewarding work of habitat restoration. You’ll get great exercise, fresh air and make some new friends and enjoy the camaraderie that working for a good cause can bring. Volunteers are always needed for the fun and rewarding work of habitat restoration. You’ll get great exercise, fresh air and make new friends while enjoying the camaraderie that working for a good cause can bring. Workdays are year round, even in winter. Most are on Saturday mornings. Sign up for our email list at info@ancientoaksfoundation.org to be notified of dates, times and locations for workdays. We work at various parks and natural areas in the Lake Zurich area, depending on the season and the task. We keep an updated list on our Events page but you can keep totally informed by adding your name to our email list at info@ancientoaksfoundation.org We send an email blast out with any changes early in the week of the workday. Adults and teens age 13 and up. Children ages 12 and under with an adult. Girl and Boy Scouts- Earn badges, Try-its, Eagle Scout and Gold Badge Award work. School service organizations such as Interact and National Honor Society. 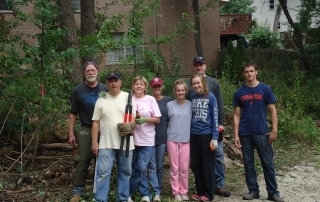 Church/Synagogue youth groups can be good stewards of God’s creation. Do volunteers need any special equipment or skills? No, but wear clothes that can get dirty and bring sturdy gardening gloves. Wear insect repellent in warm weather. Join our email blast list info@ancientoaksfoundation.org updates. Not able to join us for workdays? You can donate to this worthy local conservation effort by clicking on Donate to access our secure Paypal account. Do you work for a company that has matching gifts? Let them know when you give your donation to The Ancient Oaks Foundation and you can double your gift! We often need clerical help with mailings so email us at info@ancientoaksfoundation.org for more information on how you can get involved. 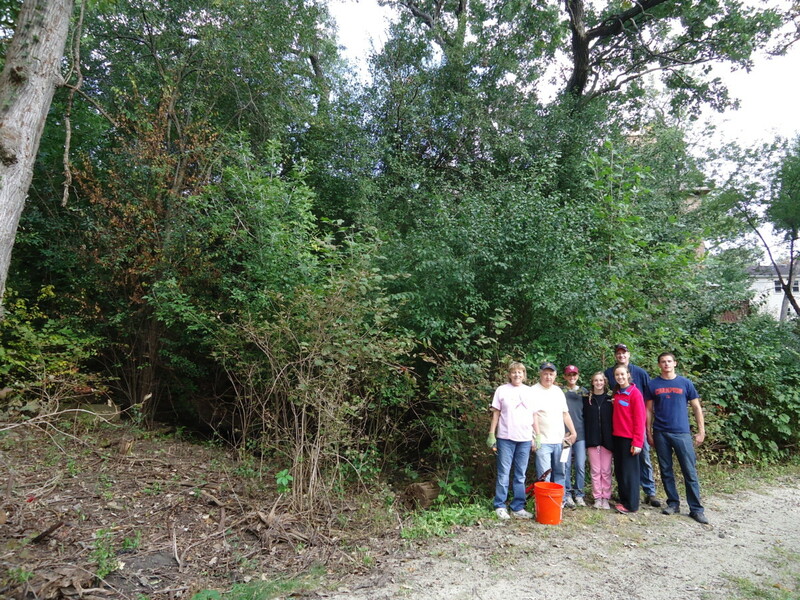 September 2014 – Our volunteers at the start of a workday. 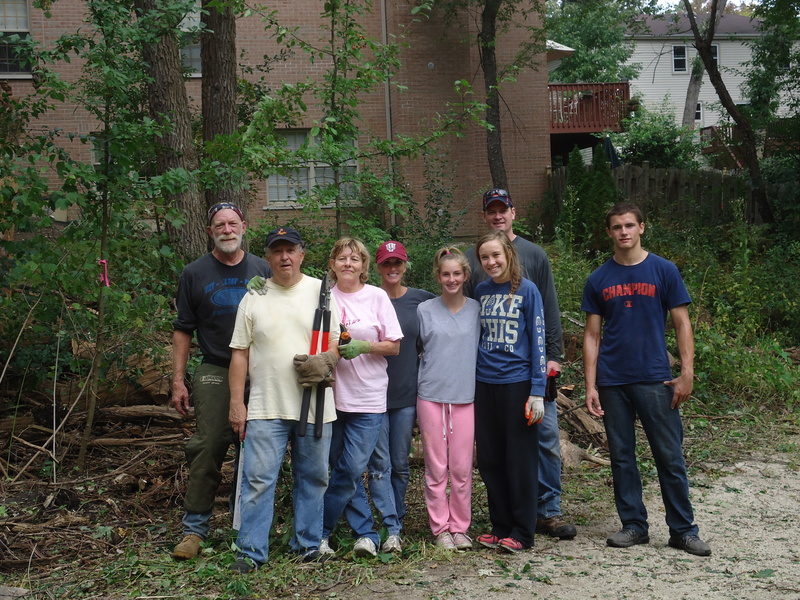 Volunteers posing for a workday photo.